Meeting Theme: Collaboration: Creating Connections that Count. Research Administrators are professional networkers, building on resource creativity and each other to accomplish the demanding responsibilities and innovations in our career field. As we collaborate with each other, we build collective intelligence in research administration. This collective intelligence builds the future of our profession. 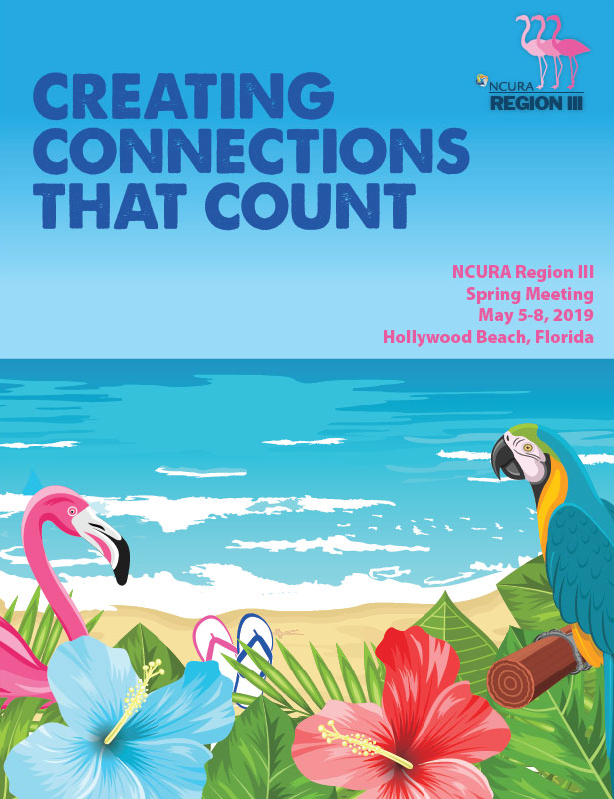 Region III members will see new tools to collaborate with each other leading up to the meeting, along with new networking opportunities at Margaritaville! So bring your experiences, ideas, and questions to Margaritaville and make Connections that Count!